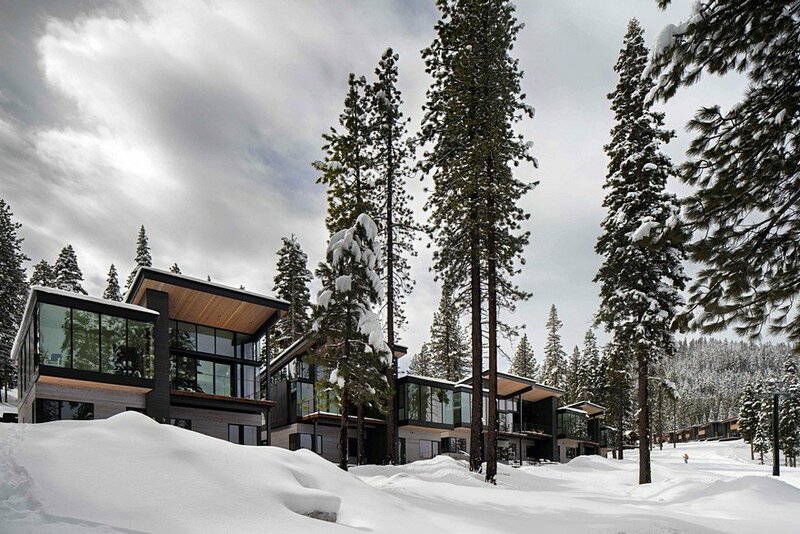 Working with a progressive developer in the Lake Tahoe area, this collection of townhouses and mountainside residences is a modern reinterpretation of the ski chalet. 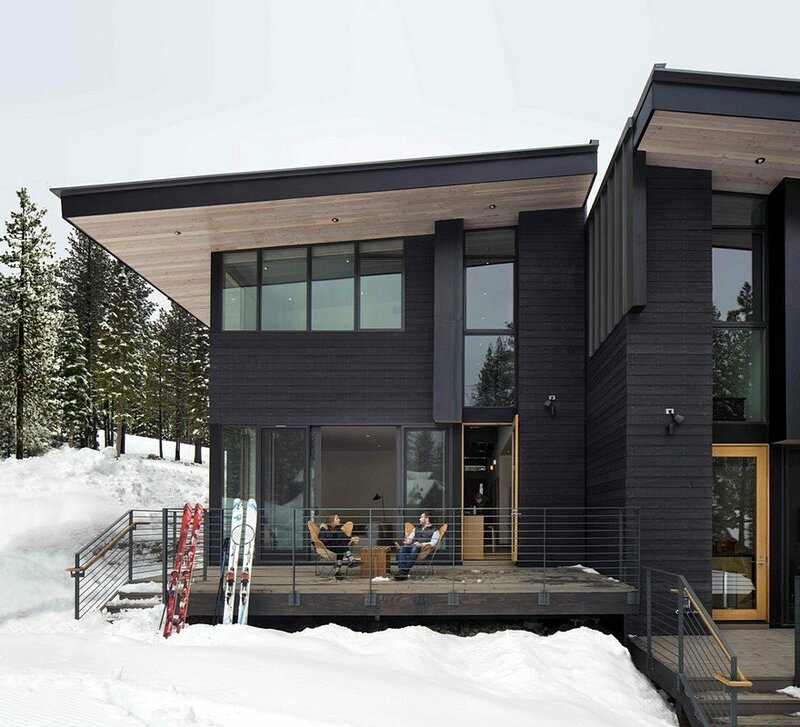 Conceived to be smartly efficient and compact in plan, these ski-in/ski-out homes are designed around social spaces that take advantage of breathtaking views to the ski slopes and Carson Range beyond. 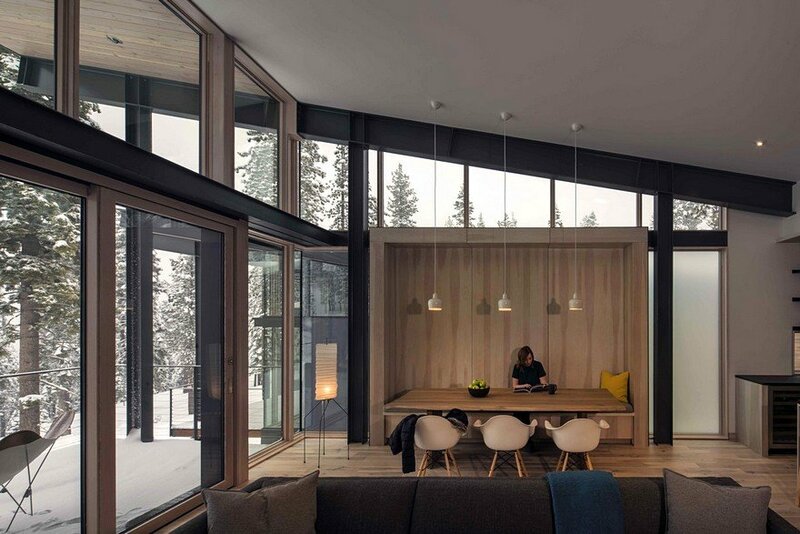 In considering the ideals of work-life balance and the needs of a modern, tech-savvy homebuyer, the client asked us to design a set of dwellings to challenge the concepts of the traditional mountain chalet. 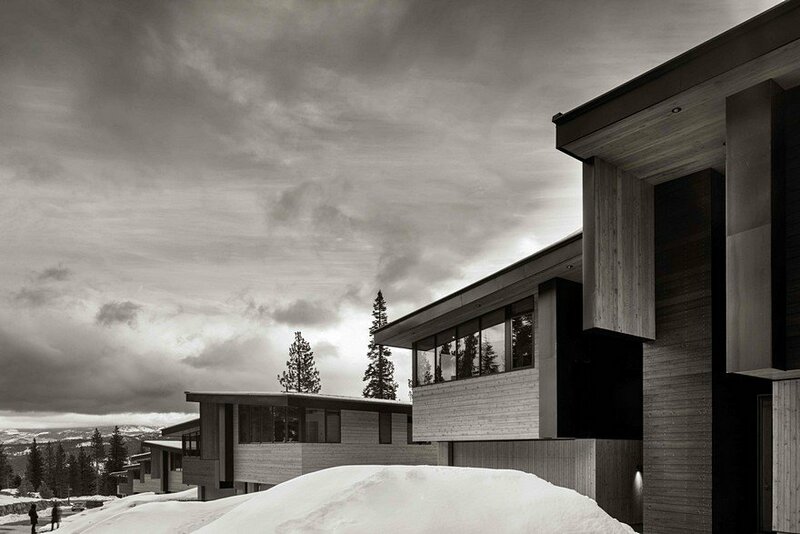 Though materials often found in conventional retreats—warm wood, glass, and natural stone—are used throughout these new mountainside homes, many elements have been modernized to provide a contemporary residence with a strong connection to nature, while also paying homage to the Lake Tahoe vernacular. 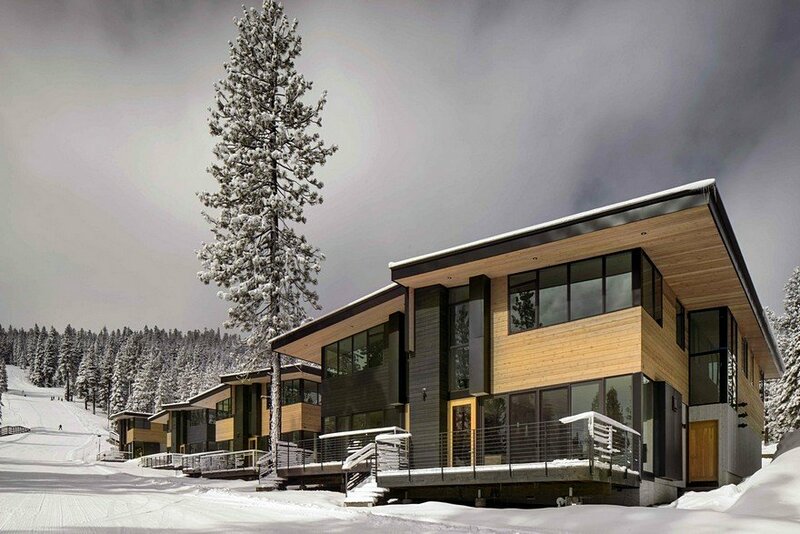 Located in a dense forest of Jeffery pine and Douglas fir, two distinct dwelling types—residences and townhouses—embrace the edge of a shared ski slope. 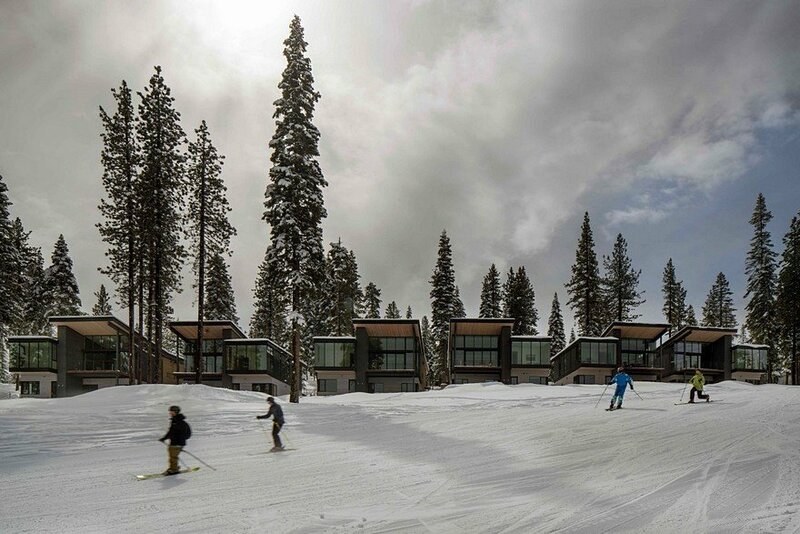 Celebrating outdoor-living with direct access to skiing, hiking, and biking, the six single-family units and 11 townhouses visually and materially engage their surroundings, emphasizing healthy living and environmental stewardship, as demonstrated in the project’s LEED for Homes certification design standards. 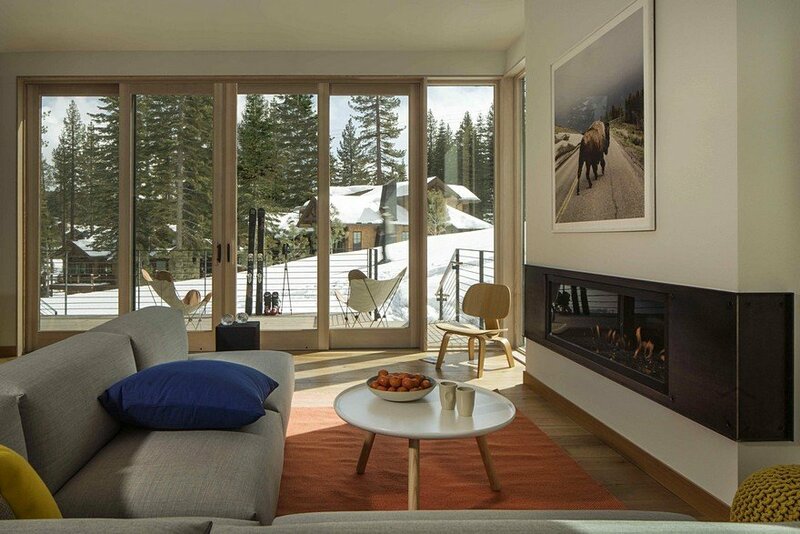 Upon entering the residences from their upper level, occupants are drawn into an elevated world, with remarkable views of Martis Valley and Carson Range beyond. 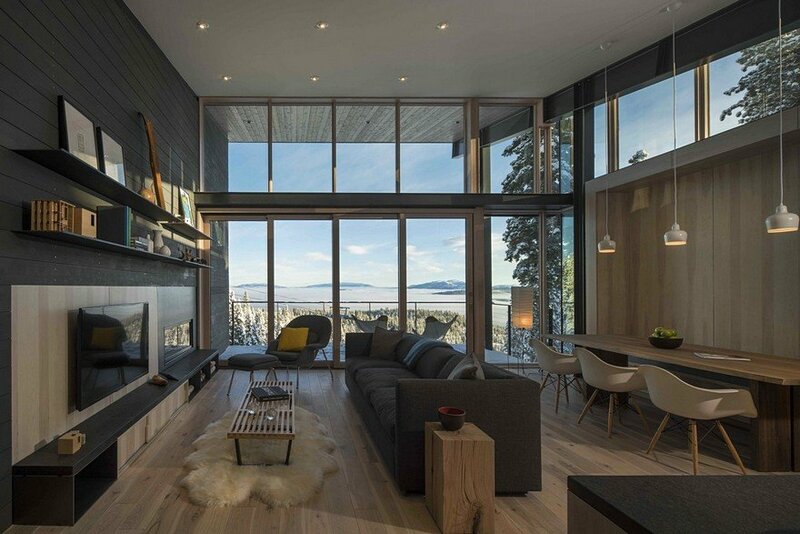 Large expanses of glass offer a visual and physical connection to the outdoors, bathing communal areas in soft northern light throughout the day and framing sunlit views of the Sierra Nevadas in the evening. 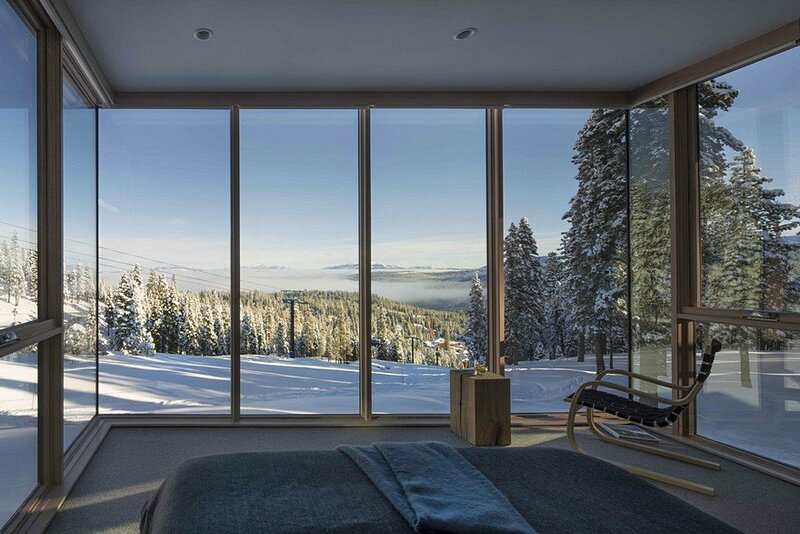 The master bedroom, immersed in sunlight via three exterior walls of glass, floats over the ski slope, causing one to feel as if perched in the trees. 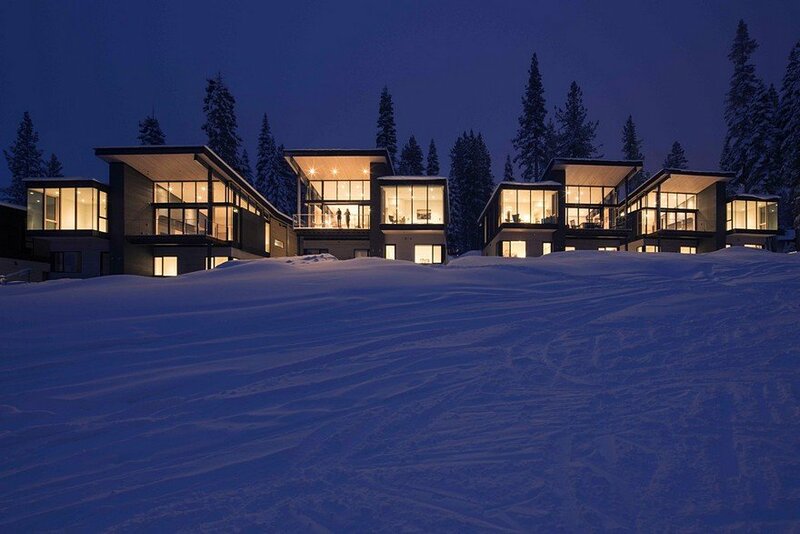 The townhouses are compact and efficient, stepping down the mountainside while following the curve of the ski slope. 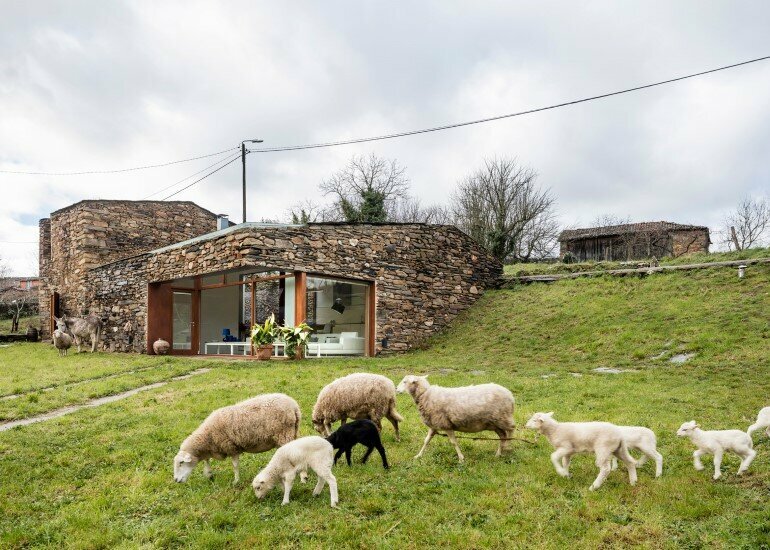 The simple, shed-roofed volumes are vertically and horizontally offset, allowing for privacy and a feeling of distance between neighboring units. 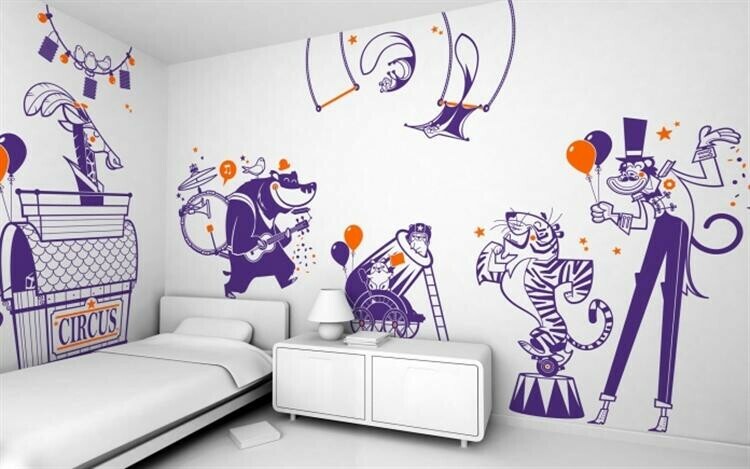 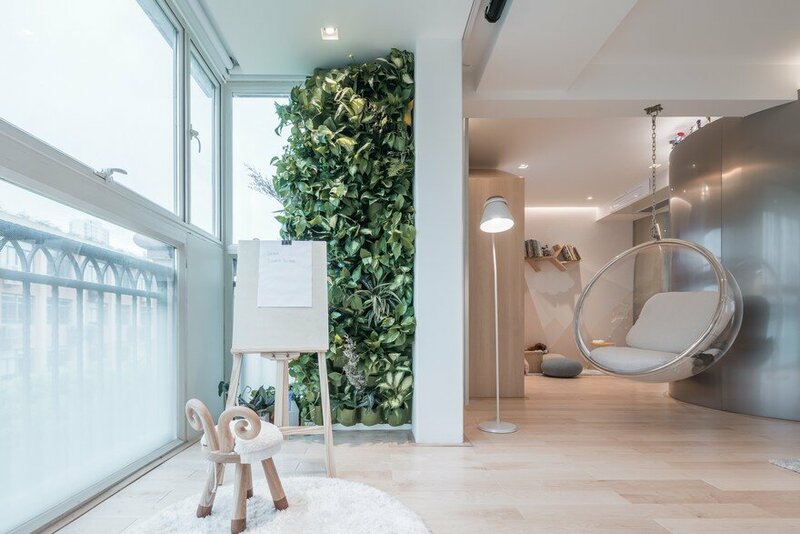 Utilities and storage are organized along shared walls, while bunks are slipped into interstitial spaces to accommodate seasonal overflow. 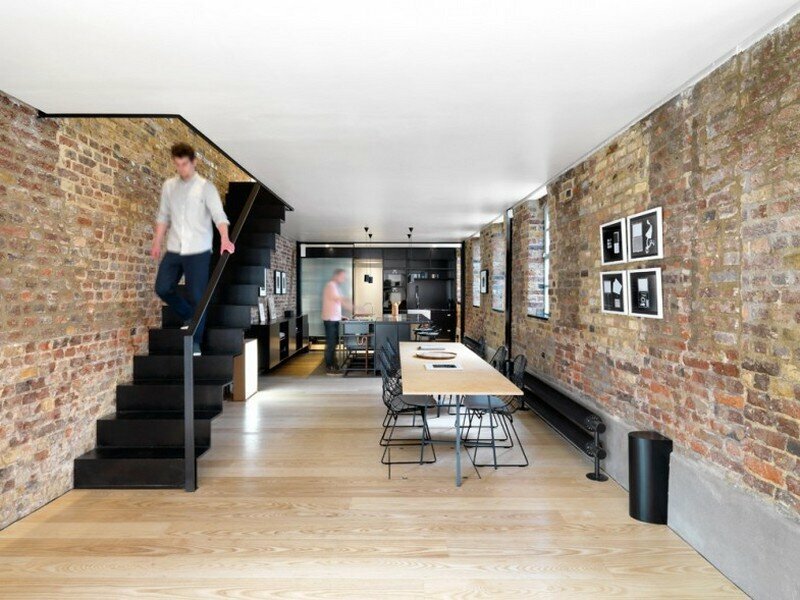 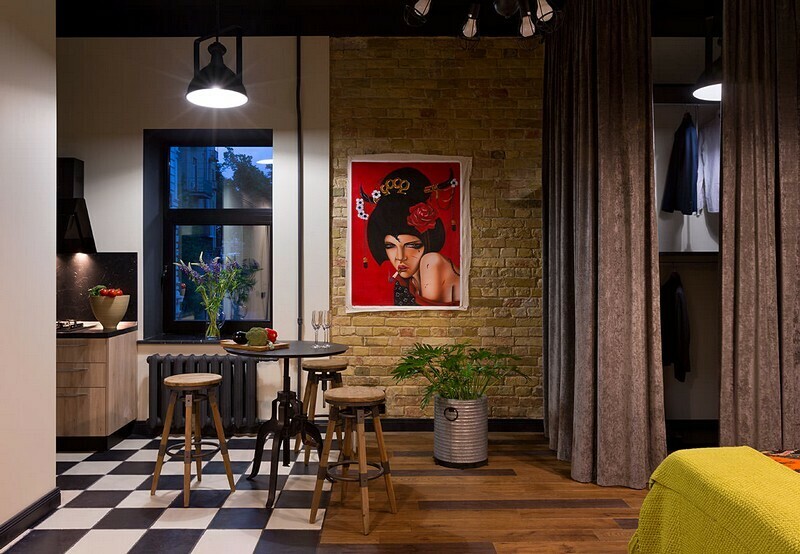 A double-height light well carved through the buildings draws sunlight into the depth of the dwellings, creating an additional connection to the outdoors. 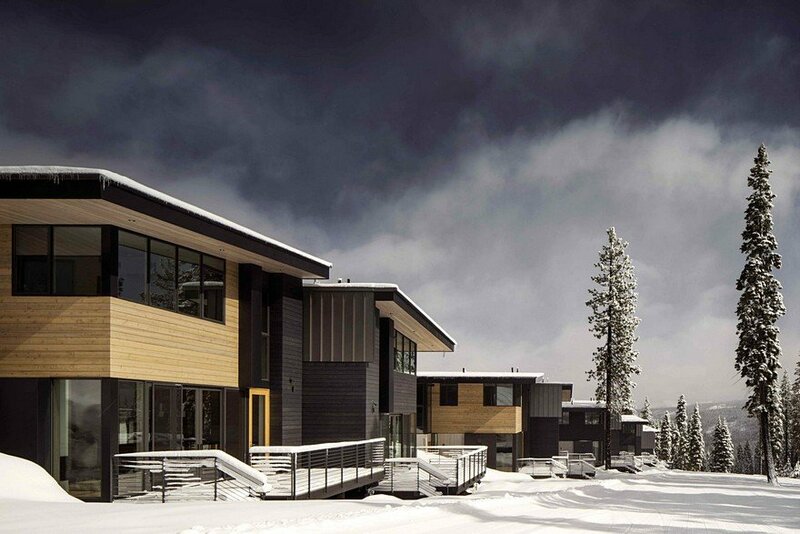 These mountainside residences and townhouses offer reprieve from the working world with a specific emphasis on responsible, ethical development, and the promotion of ecological, sustainable design.